Christmastime is here, my favorite time of the year! My tree is decorated, the Christmas cards have been sent off and pretty much all the gifts have been bought. Ugh, you say, she’s “one of those organized types.” Hey, don’t hate me, learn from me! Although I am pretty much organized all the time, getting ready for Christmas can even stress me out; there are so many details to think about! Over the last few years I have slowly developed a system that helps to keep me focused, within my budget and virtually stress-free. As a result, I get to spend more time with my family during the holidays and truly enjoy the season. I promise if you implement some of these things this year and do more before next Christmas, you will be less stressed and have more time to spend with family and friends. So, what’s my secret? 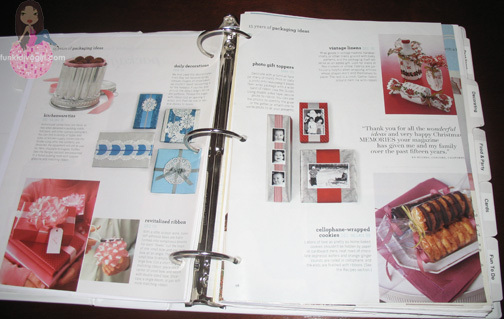 I have a huge binder that holds all my Christmas gift ideas, to do lists, magazine tear-outs, favorite recipes and craft ideas. Make labels for cards & buy stamps. Mail cards. Buy any dishes, tablecloths, candles, etc. Located behind the “Master To Do List” is a budget spreadsheet for this Christmas. I actually created it last January, based on the previous Christmas. It has headings that say “Projected”, “Adjusted” and “Actually Spent”. I find that keeping track of my spending helps me to set a realistic budget for the next year. For instance, I have learned that I typically spend $50 on wrapping paper, tape and bows. In the past, I might have thought that I spent $25, but I can see that it isn’t the truth. The key is to put everything on the spreadsheet and not just gifts and decorations. Some things that are not typically tracked by most people – logs for the fireplace, more groceries, outfits for the kids, stamps for Christmas cards, craft supplies – are the things that leave you scratching your head in January, wondering where all the money was spent. Next in the binder is the “Gift” section. In here I have created a table to brainstorm gift ideas and keep track of what was bought and still left to buy. I have a chart for my son, daughter and a list of others that I need to buy gifts for like teachers, sitters and other family members. The next section in the binder is titled “Decorating”. A couple of years ago I decided to change my decorating color scheme every year, so here’s where I brainstorm and write down ideas for future decorations. There is also a list of my favorite places to shop and a complete inventory of all my Christmas decorations; at a glance I can tell if I have 7 stands of white lights or 6 strands – without having to pull out the storage boxes. This section has many magazine tear-outs of decorating ideas that give me inspiration every year. One of the best things in this section is an Excel spreadsheet called “Gift Giving History” that I started in 2005 where I have listed all the gifts that I given each year. I don’t trust my memory anymore and would hate to give my mother-in-law the same gift as last year! 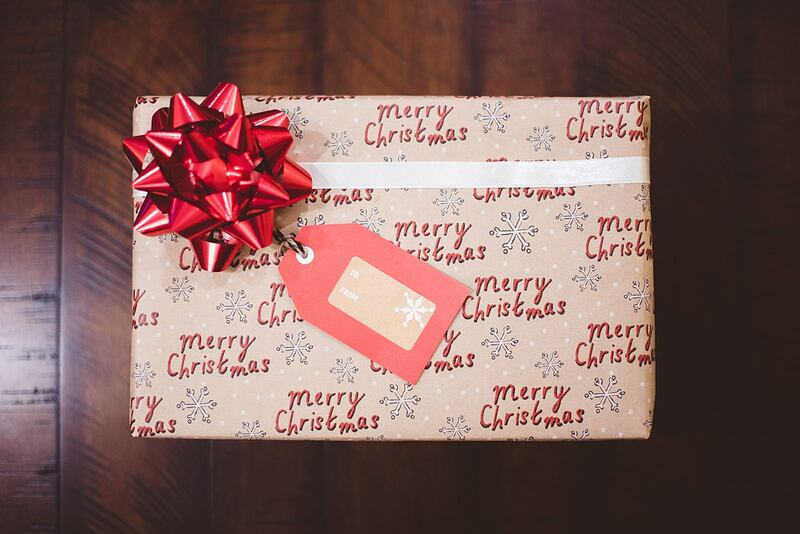 The idea behind this section is to make gift-giving fun, unique to the person, within my budget and stress-free. I hope that I have given you some tools to become more organized this Christmas and inspired you to make this holiday as stress-free as possible. Okay I could never be that organized. You truly have a gift. Seriously! mamasgotmoxies last blog post..just call me gigi.